High quality, best price around - Thanks! Very high quality thick decal and what is good is you pick the size! You will be Happy with this!! i spent many hours stripping and repainting my airport golf cart john deere green, with yellow wheels and sunroof of course, and the rubber parts trimmed in flat black. your decals were the perfect finishing touches on the front and sides of the cart. It's really cute and draws nice reviews from the airport community here. 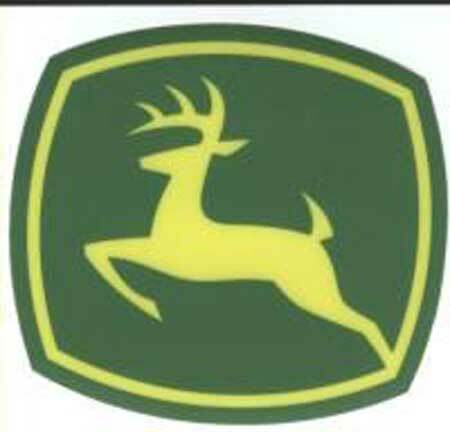 Thanks for making your decals available to us deereheads.